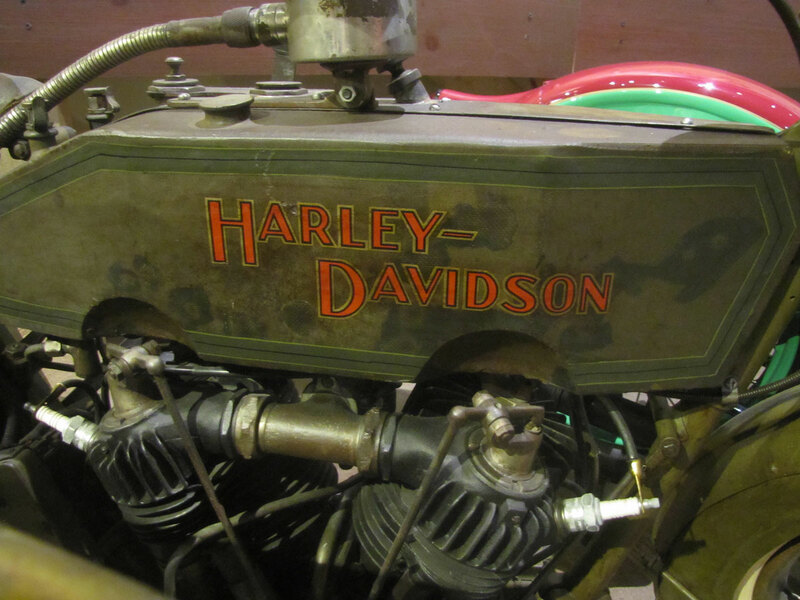 By 1915 Harley-Davidson had their 61 cubic inch V-Twin design perfected and at 11 horsepower* found it powerful enough to pull a sidecar and passenger. 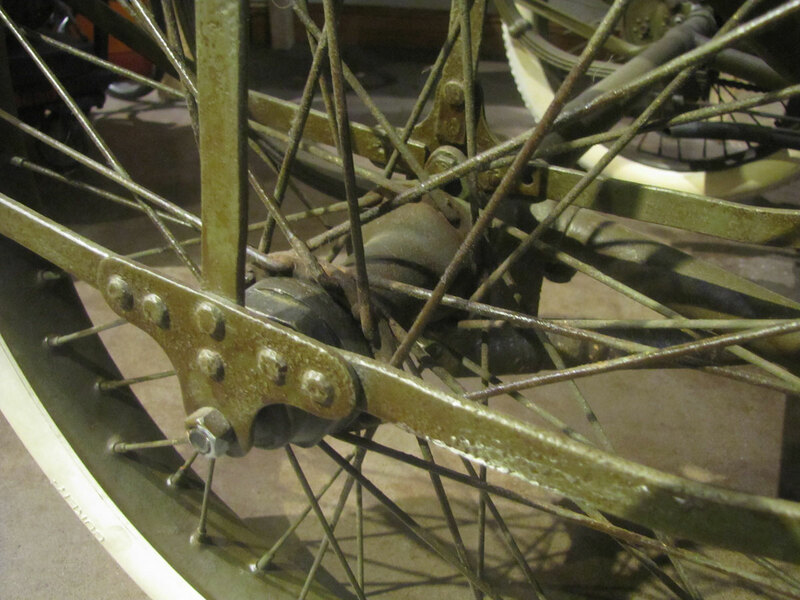 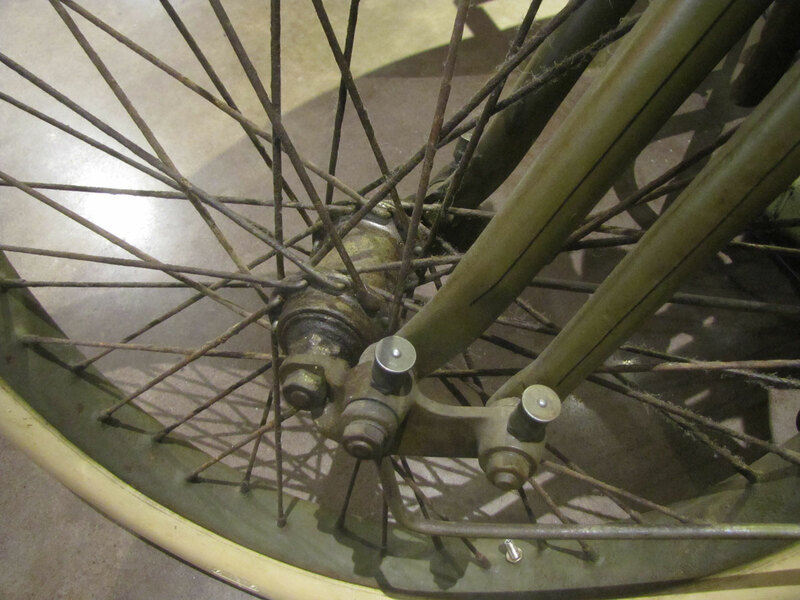 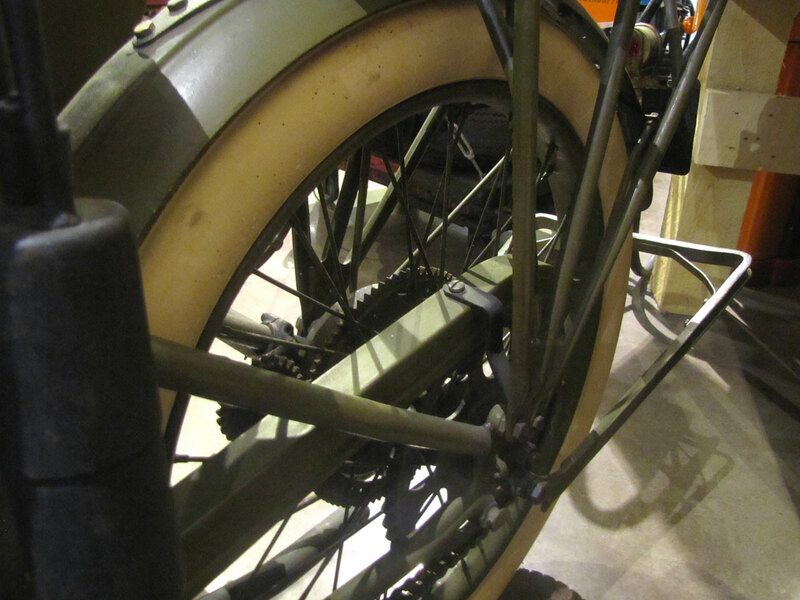 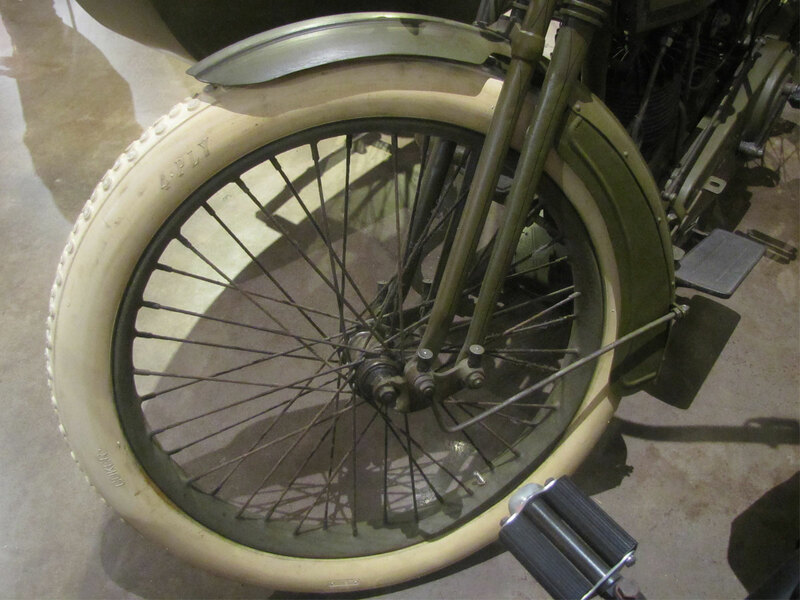 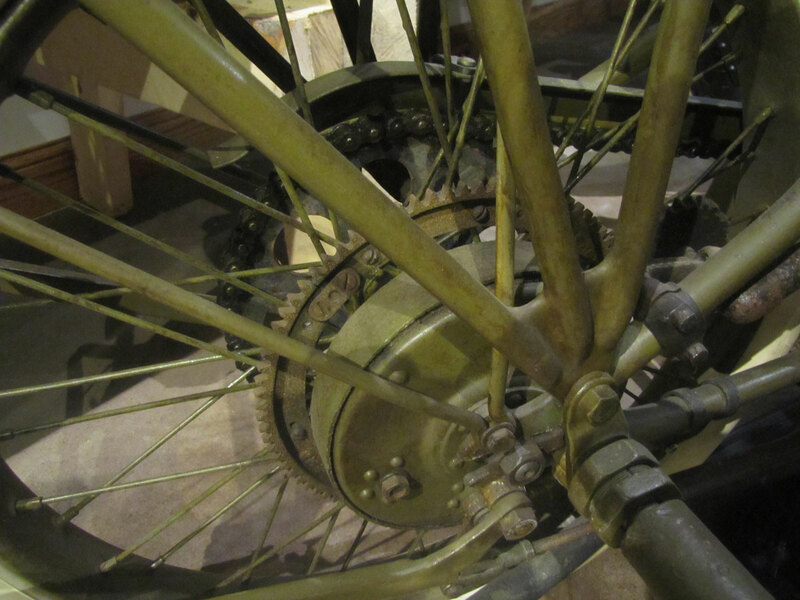 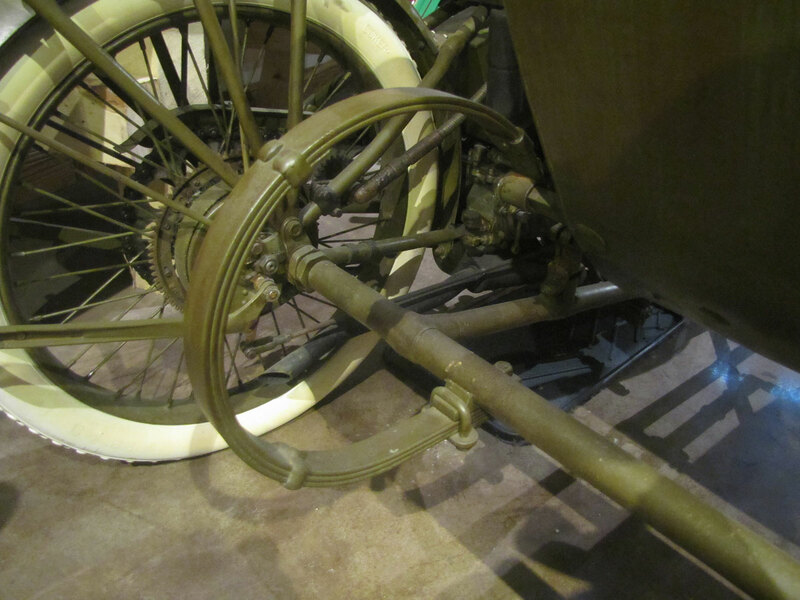 As early as 1905 Indian had experimented with a three wheel layout, two wheels in front with seating between, the “forecar”, but this design was soon abandoned. 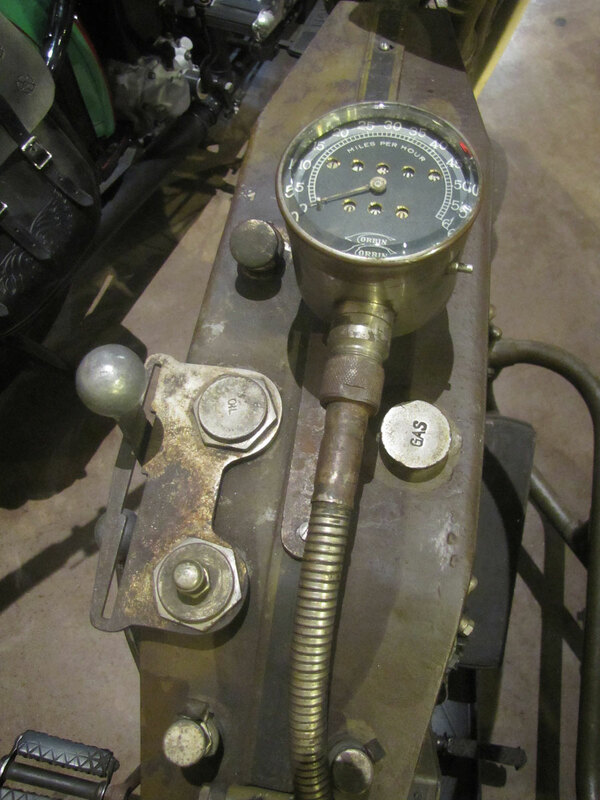 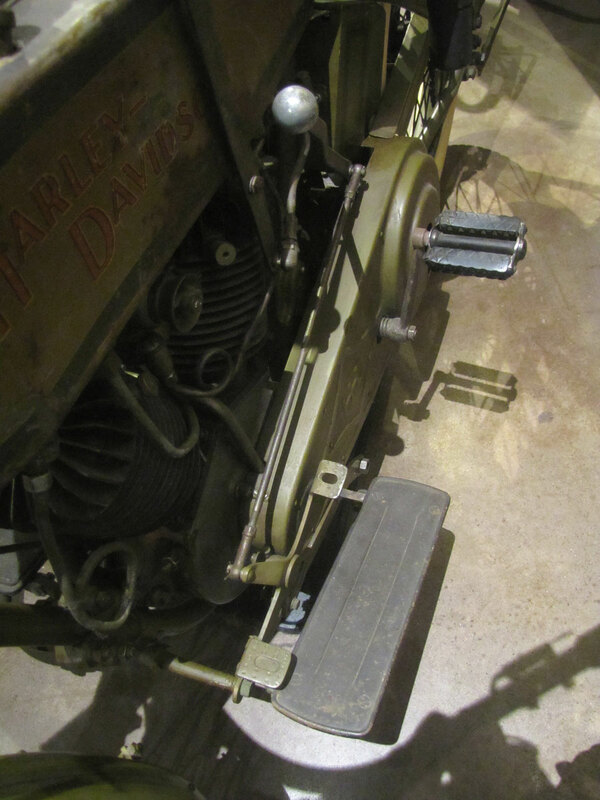 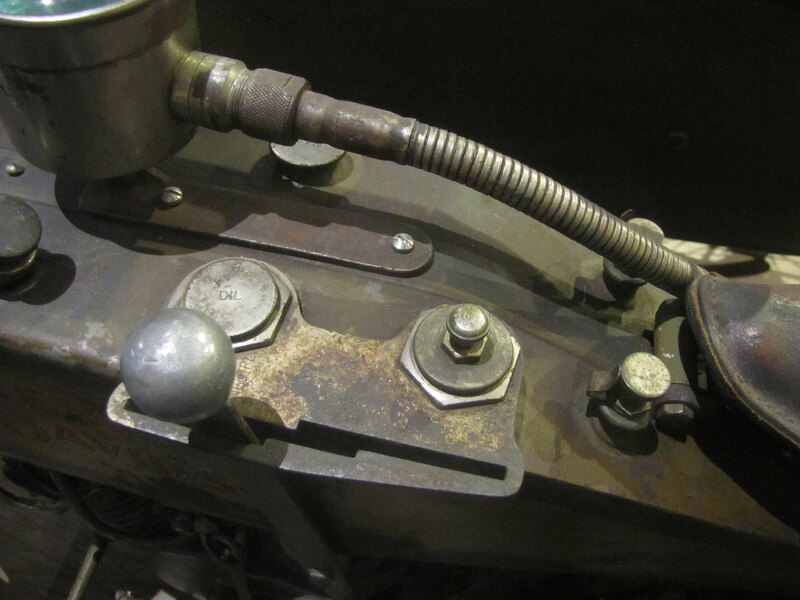 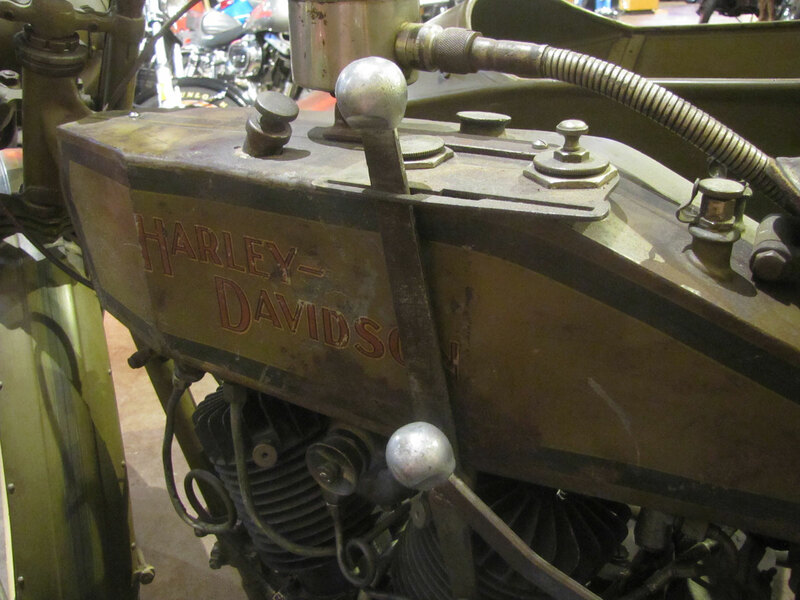 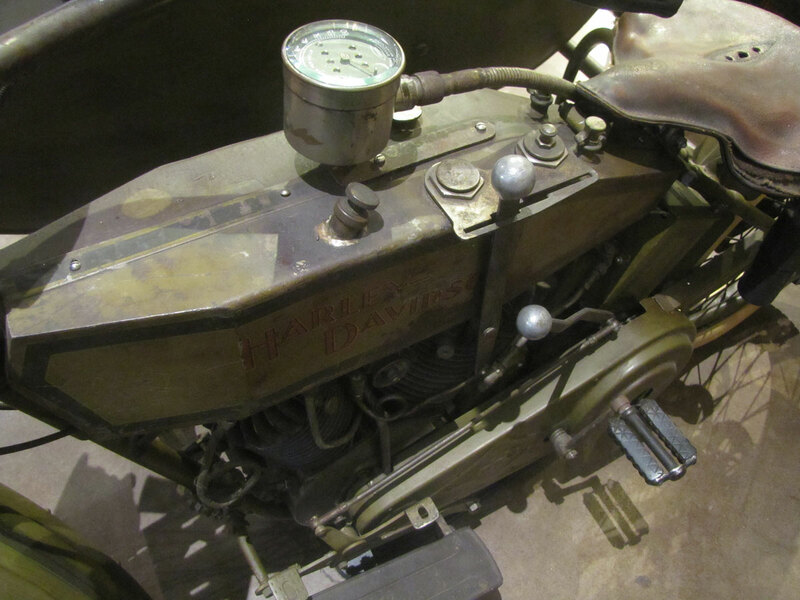 Harley made several similar versions oriented toward commercial applications like the very rare forecar name “Walter” that was at the Museum until recently. 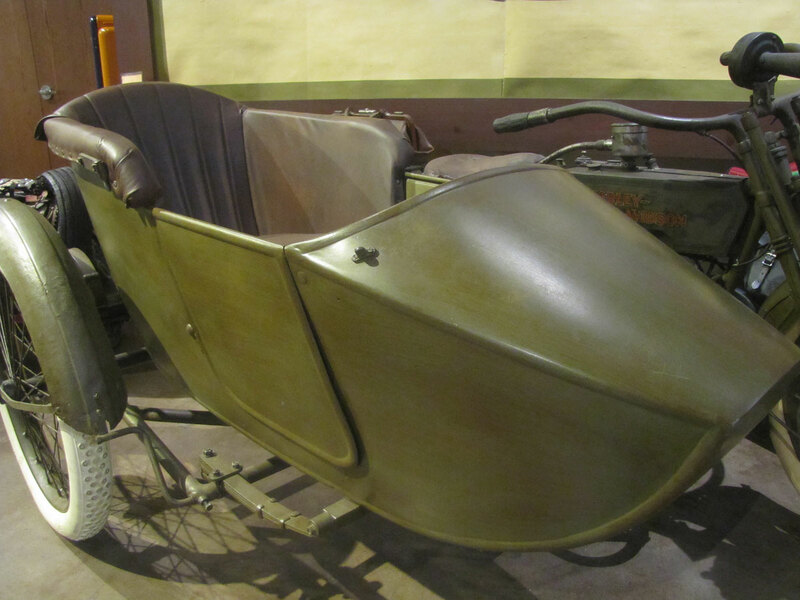 The British built many wicker bodied sidecars starting around 1913 that evolved into fabric and steel bodied designs, some complete with tops and side curtains. 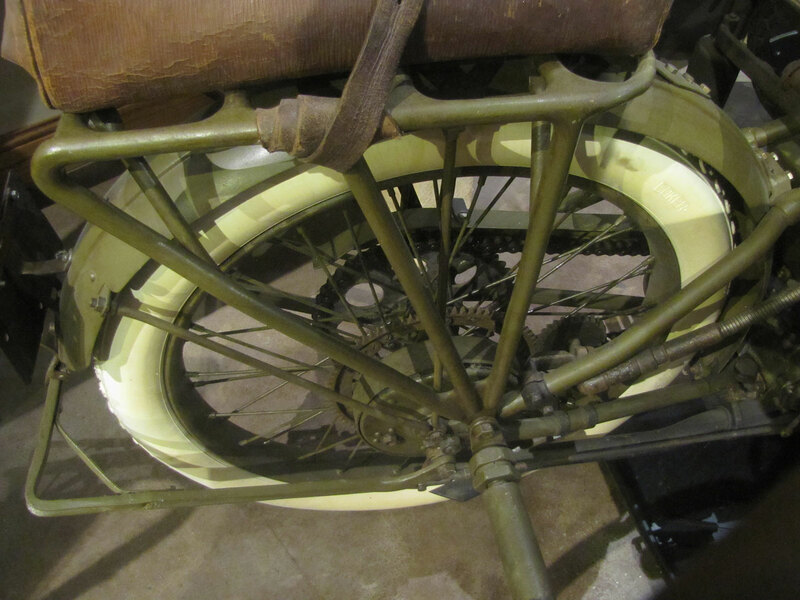 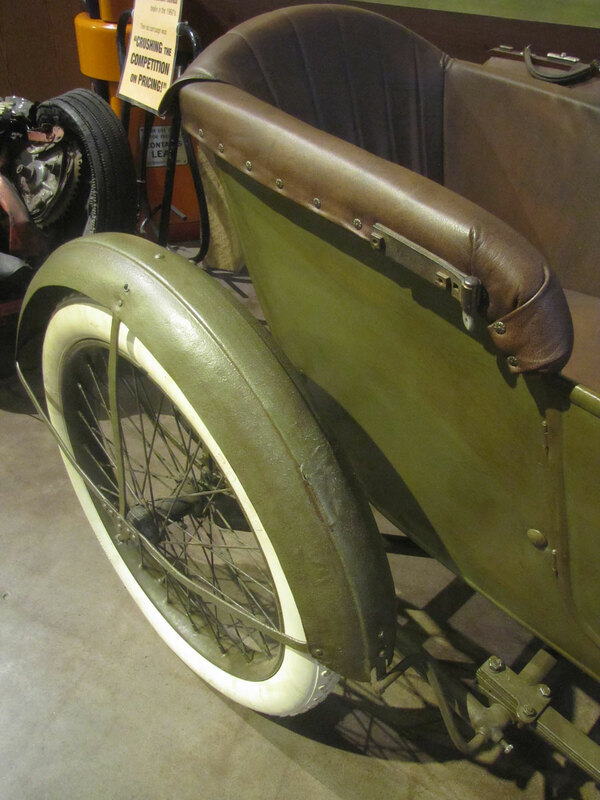 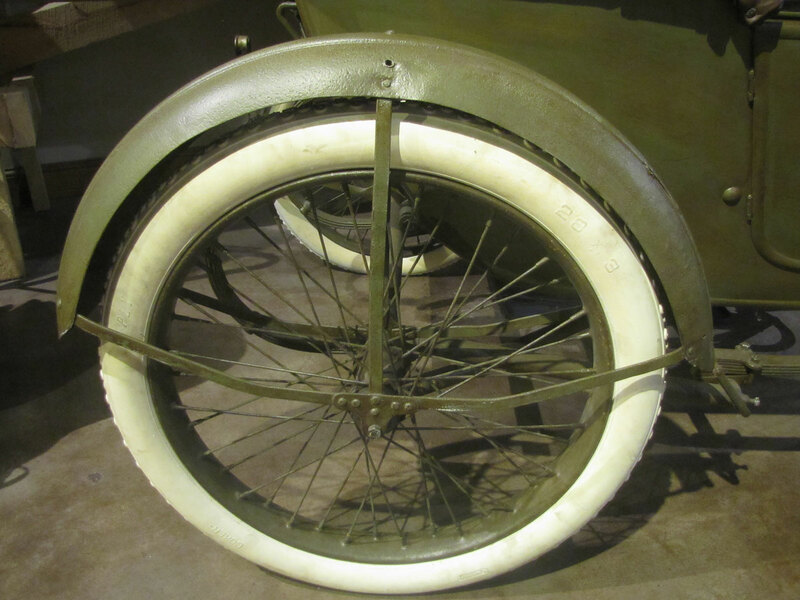 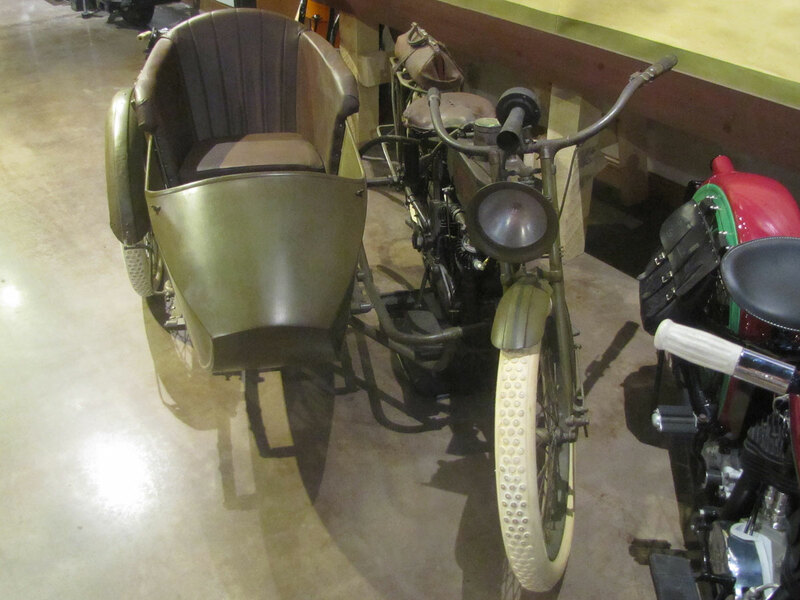 A Milwaukee company, Seaman Body Company made Harley sidecar bodies from 1914 until World War II. 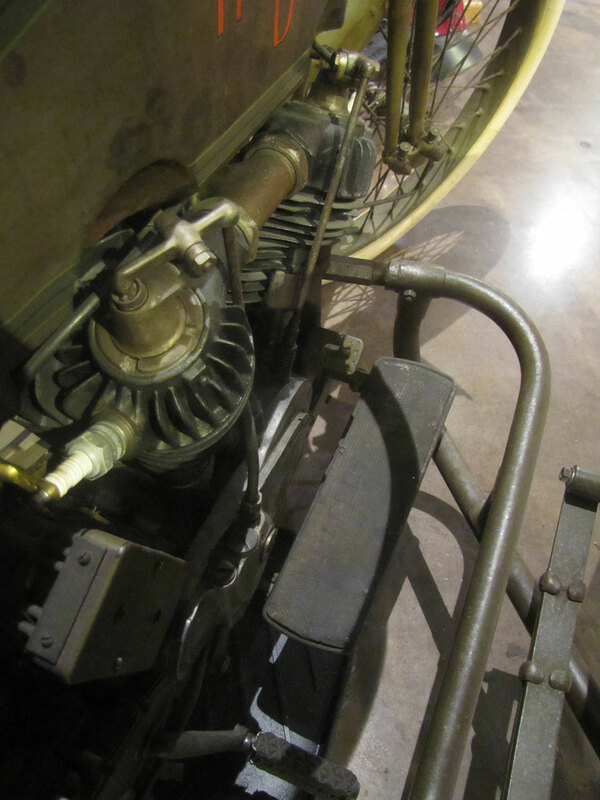 The early sidecar we are featuring has a chassis built up from 1.25” steel tubing and a leaf spring. 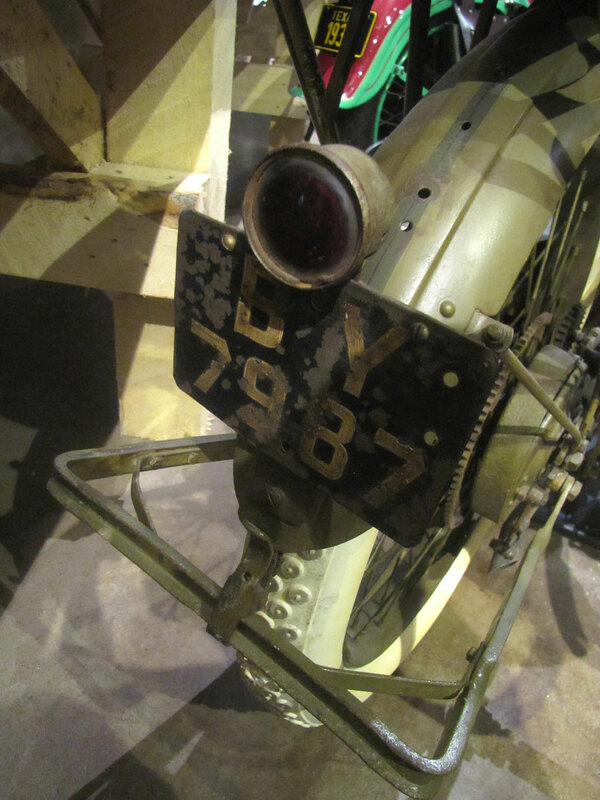 Bodies were formed from sheet metal cut, formed into a cowl shape and welded to 1/4 inch rod skeleton frames. 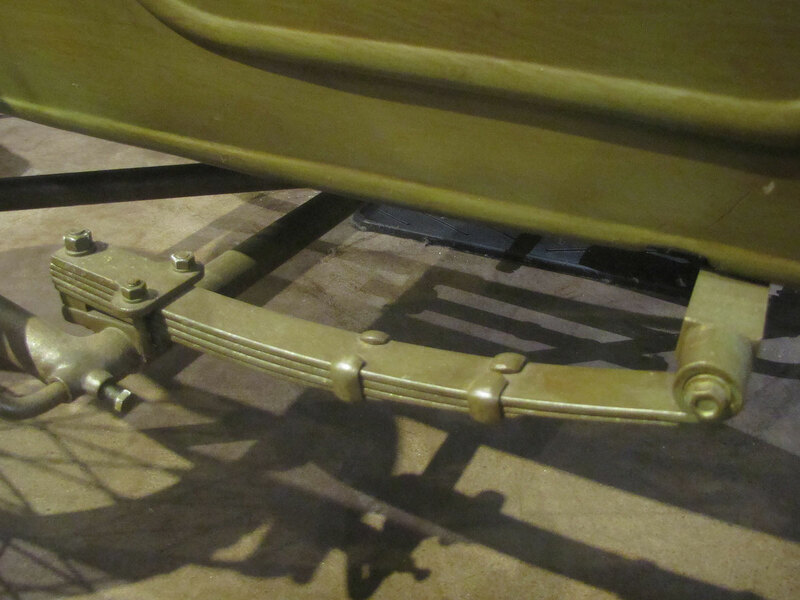 Triple laminated hardwood floors were cut to size, primed and baked, and bodies were hand spray painted. 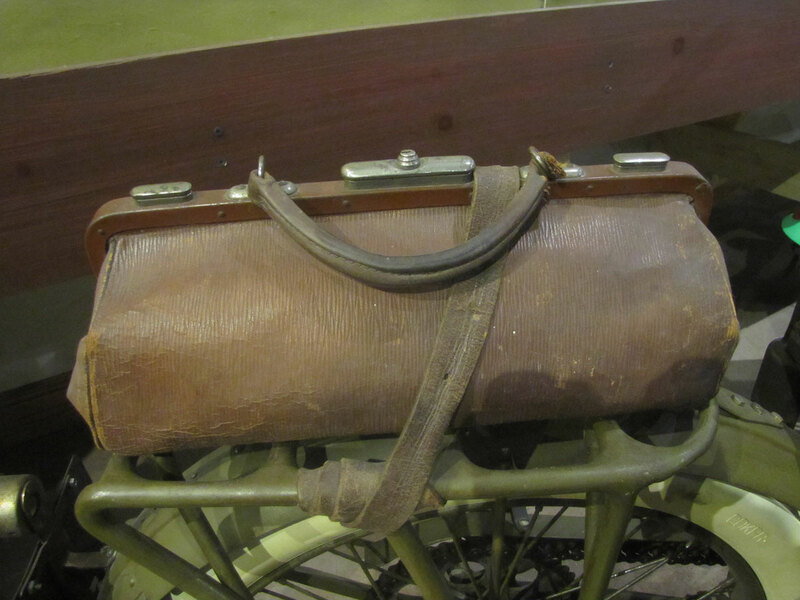 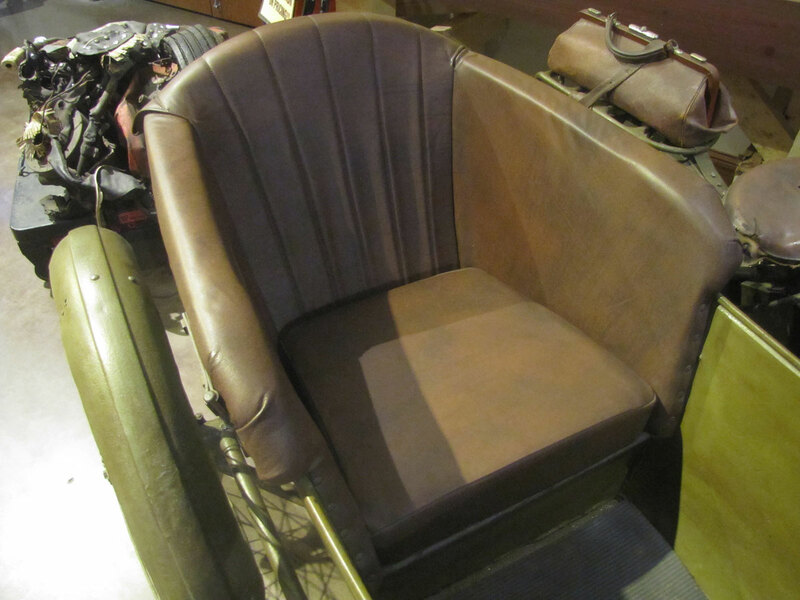 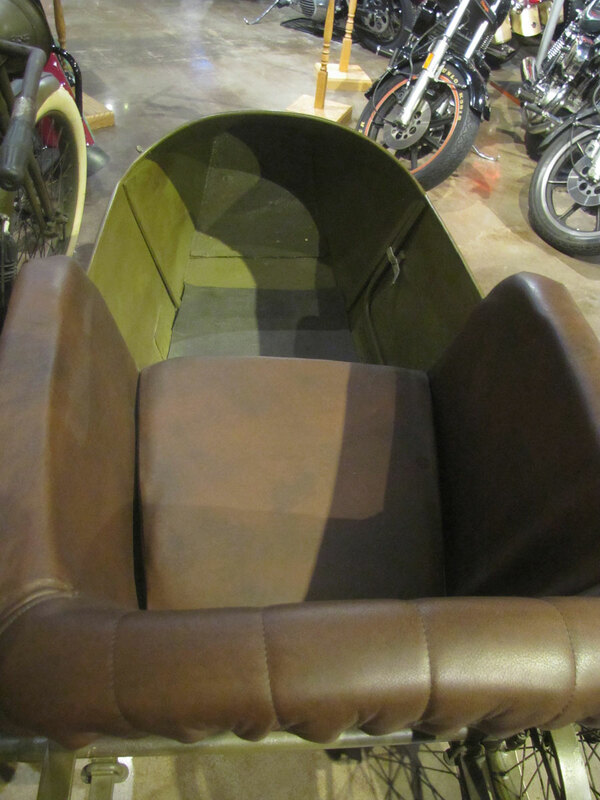 Seats were built up from wood bases, springs and a leather cover sewn on an electric sewing machine, new at the time. 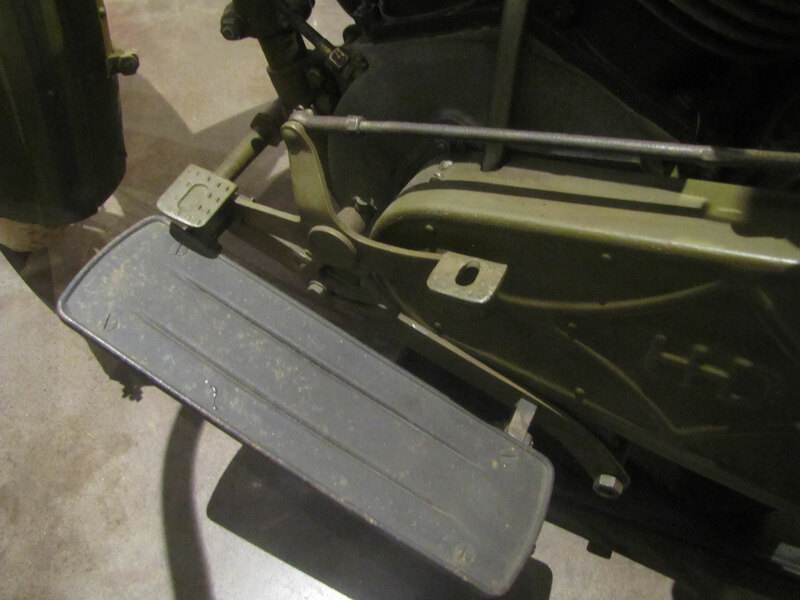 Optional folding tops were available. 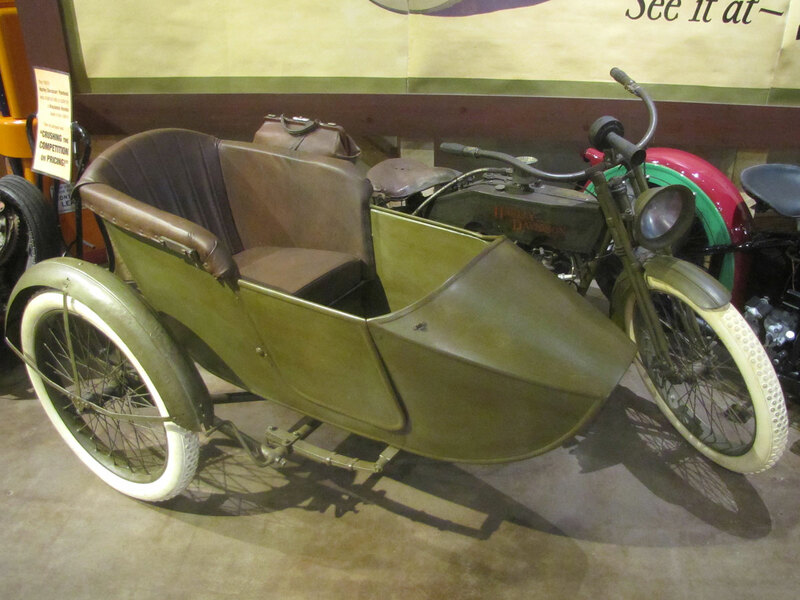 In 1914 a basic Harley-Davidson sidecar cost about $85. 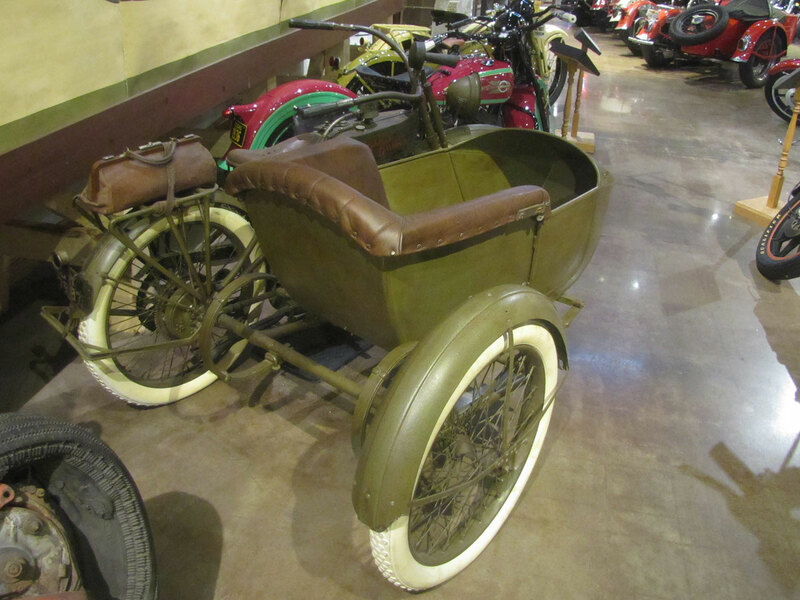 The United States Postal Service authorized use of sidecars for rural free delivery. 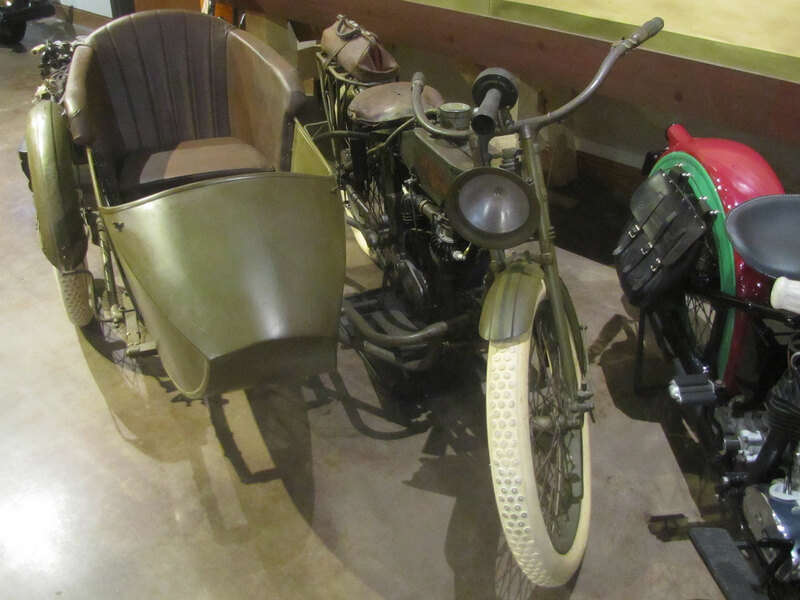 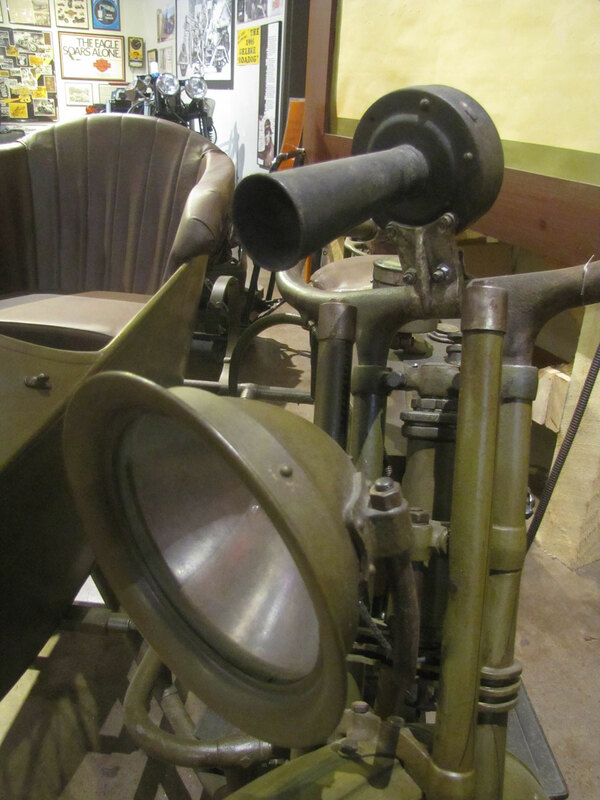 Most Harleys supplied for World War I were sidecar equipped. 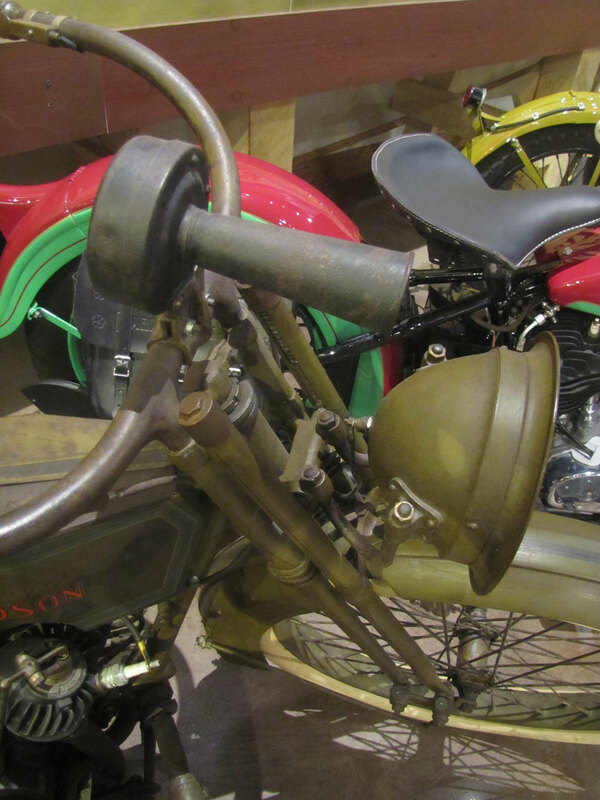 For personal, military and commercial use over 16,000 sidecars had been sold by Harley-Davidson by 1919. 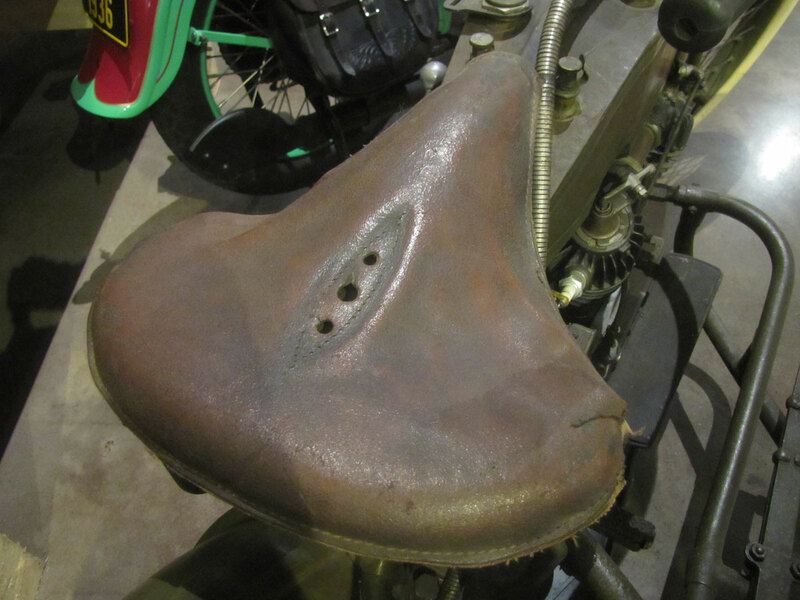 Remarkably in the era, statistics show seven of ten Harleys were fitted with “chairs” as they became known, as usefulness was increased. 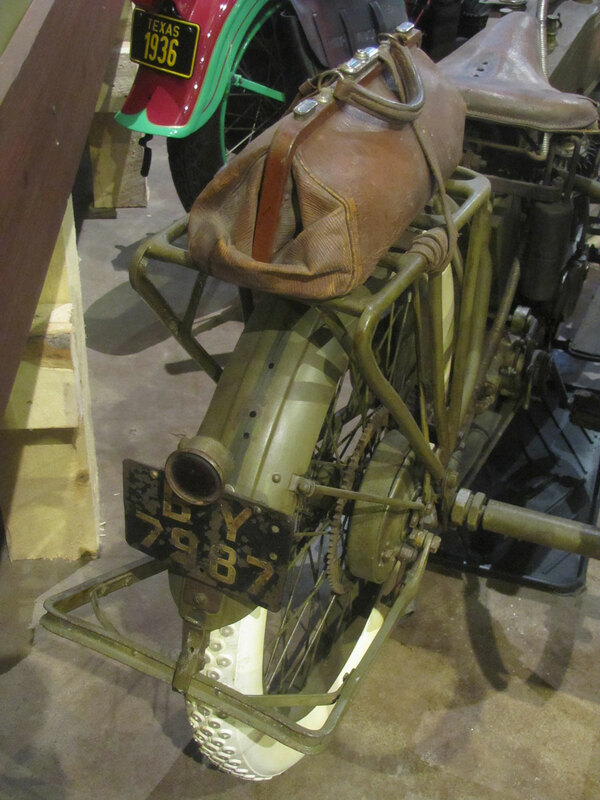 Harley-Davidson export was strong as well with left hand sidecars for England. 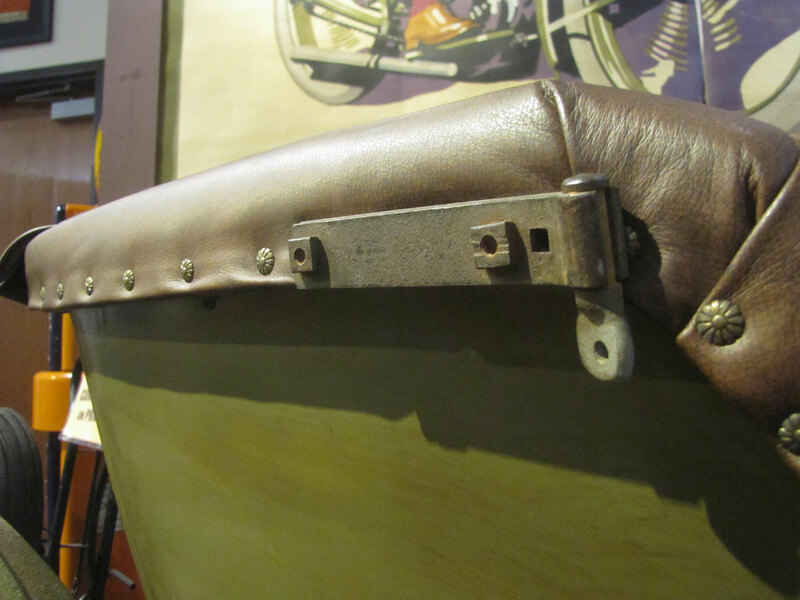 New design fiberglass bodied Harley-Davidson sidecars were introduced in 1967. 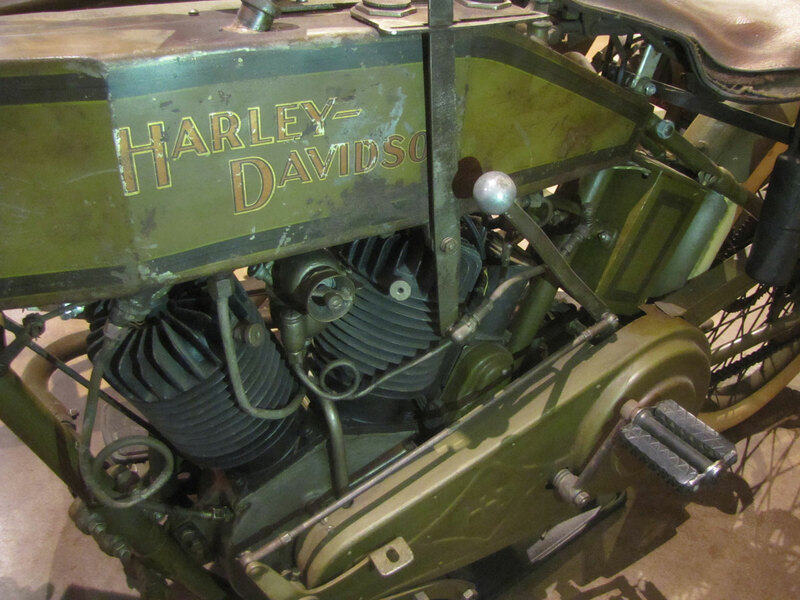 Harley-Davidson discontinued selling sidecars in 2010. 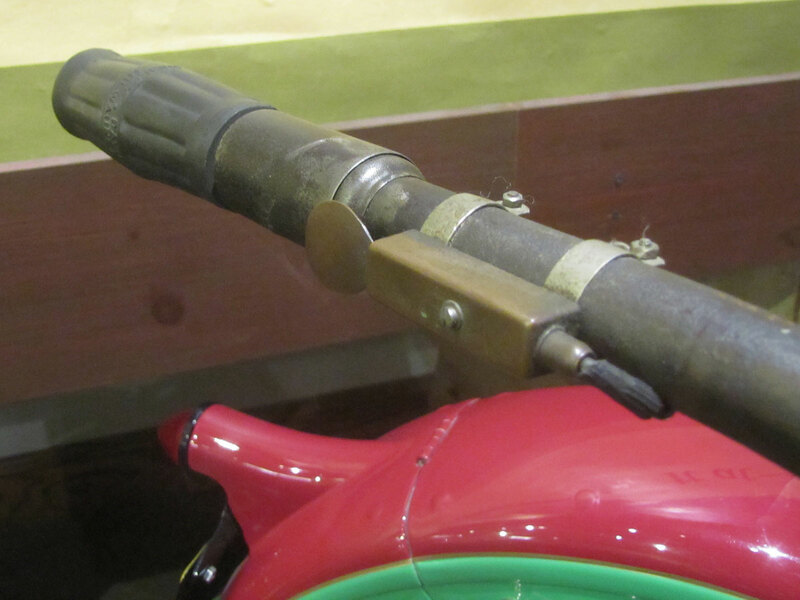 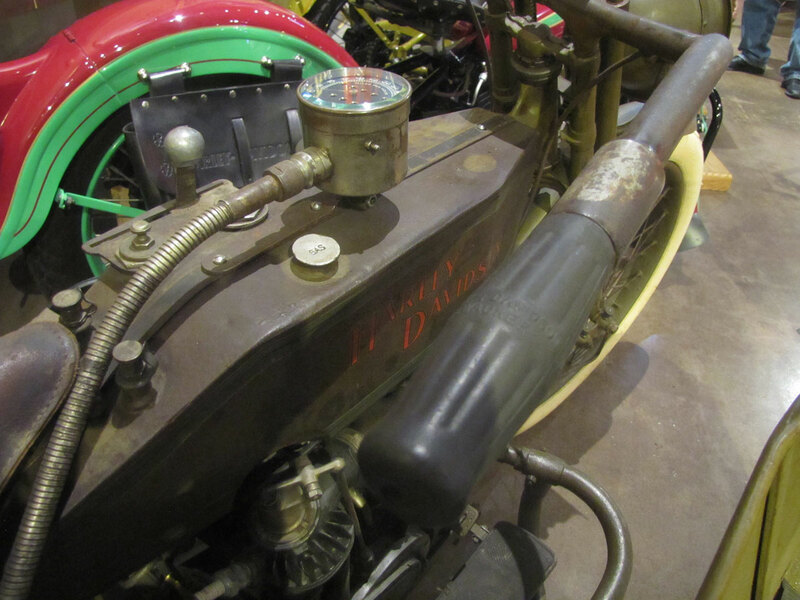 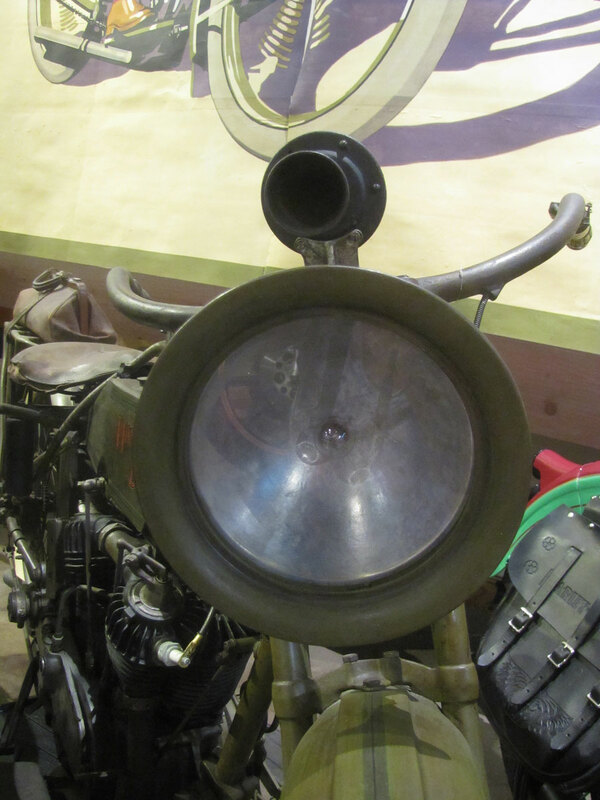 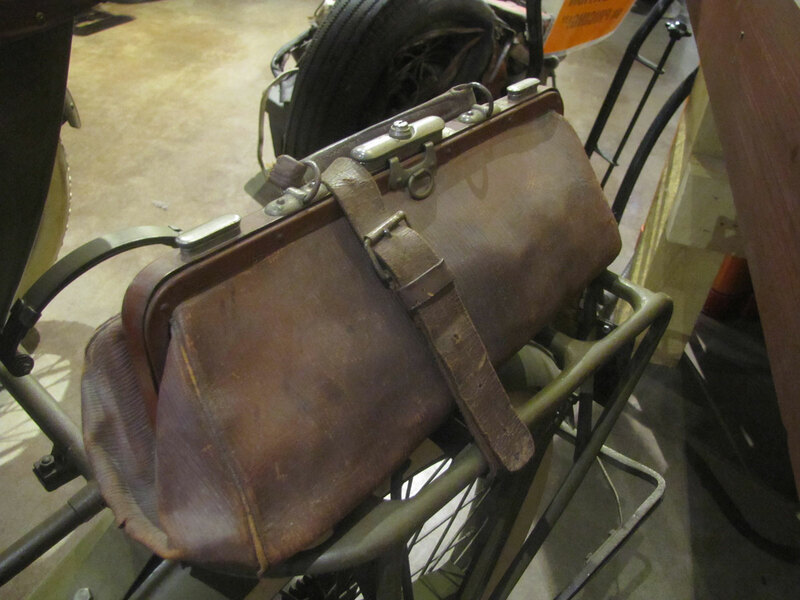 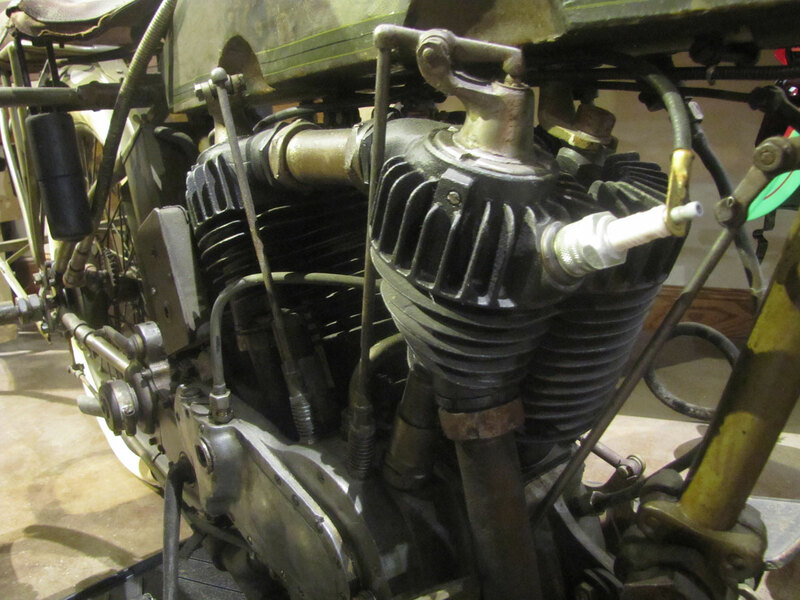 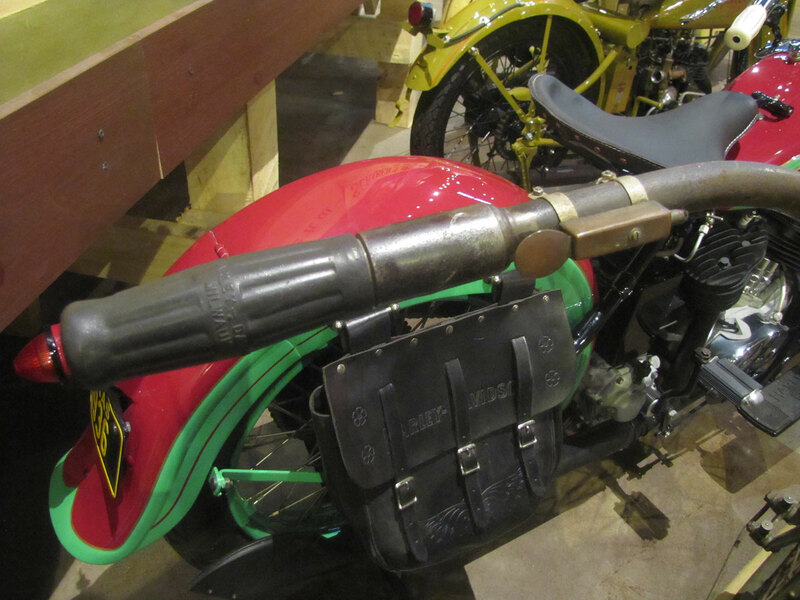 When you visit the National Motorcycle Museum you’ll see several American and European sidecar rigs. 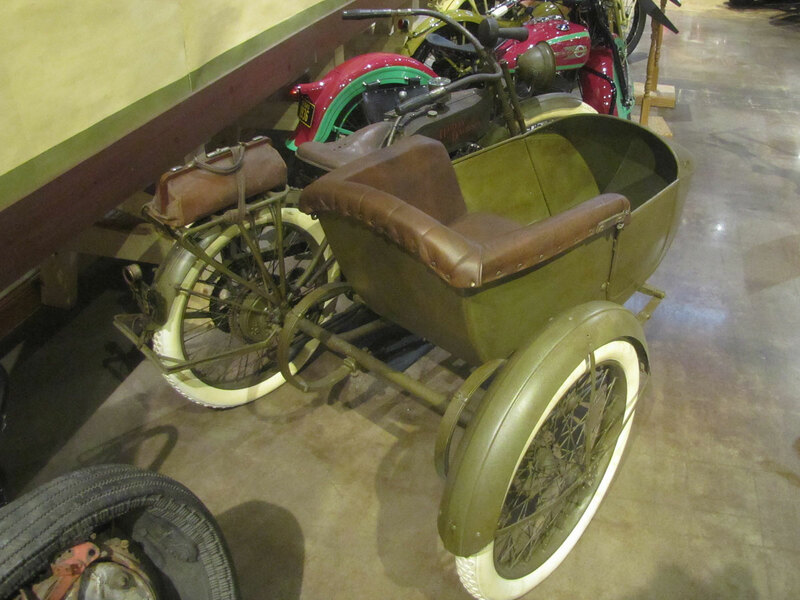 Make a note on your calendar that the Museum will host the East Central Iowa Sidecar Rally on Sept 8, 2018 where you typically can see 30 or 40 unique sidecar equipped motorcycles. 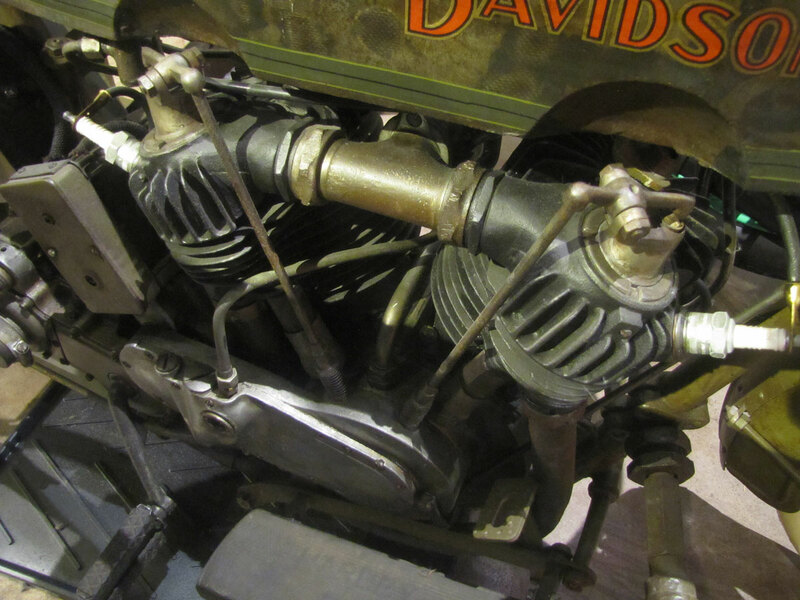 *Harley-Davidson guaranteed 11 horsepower from their V-Twin but stated that some engines had been tested showing as much as 16 horsepower.